Information overload is a real thing. It’s simultaneously overwhelming and terrifying, and our modern lives are fundamentally shaped to induce it at every moment. The technology that we all depend upon is the cause. We have to know what’s happening at every given moment. Even while writing this paragraph, I checked Reddit, Twitter and Facebook at least once. I’d say it’s directly responsible for the shortening of our collective attention spans. But we can fight back against information overload. This is a battle that can be won by centralizing and curating the content we consume. If you’ve got an Android device, here are 5 apps and strategies you need to check out. This app gathers content from a wide array of sources and brings it together in one central location. 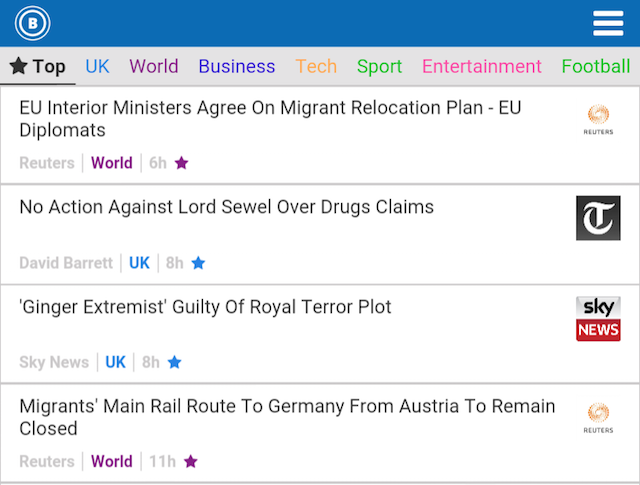 Not only does it retrieve news and blogs, but it also gets the most upvoted related posts from Reddit, Imgur, and Twitter, and suggest topics you might want to follow. This doesn’t just deal with the biggest cause of information overload — by that I mean the fragmented nature of the information we consume — but it’s also a delight to use. It looks and feels great. There’s also a social dimension to Curiyo called my2¢, which allows you to comment on topics by text, audio clip, and video. Curiyo can be downloaded for iOS, Android, and runs in the browser as a website and Chrome plugin. Okay, I should probably give you some background first. In 2013, Yahoo! acquired a London iPhone app startup called Summly for $30 million dollars. This was interesting for two reasons. First, the founder, Nick D’Aloisio, was a mere 17 years old. That’s young, even by the standards of most tech companies. Secondly, the technology that powered Summly was pretty cool. It algorithmically condensed long news articles into short, digestible 400 character paragraphs. Yahoo! soon went about integrating this technology into its family of mobile apps. First with their iOS application, and later with their Android app. Everything published on Yahoo.com — news, politics, sport, and mindless celebrity gossip — is available in a short digestible format. As news sources go, Yahoo.com is pretty good. Not only do they employ some talented writers, but they also source content from the likes of Reuters. One of the most obvious ways of avoiding information overload is simply limiting the amount you consume. This, I feel, is one of the best ways to walk the line between being swamped and being informed. You can download the Yahoo! app for iOS and Android. RSS stands for “Really Simple Syndication”, and before Twitter was a thing, it was how people kept track of news. RSS feeds were simply XML documents that updated whenever a webpage did. RSS feed readers would then download them and let the user know there’s a new story or article to look at. Although Twitter and Facebook have taken a bit of the shine from RSS, it’s still a popular technology, and there are hundreds of RSS reader apps in the Google Play Store. When it comes to fighting information overload, RSS is great, as it allows you to read content at your own pace, in once centralized location. Moreover, you can be selective with what you end up reading. My colleague Christian Cawley ran through some of the best ones in 2014. At the time, he noticed that each app had their own merits to stand on. 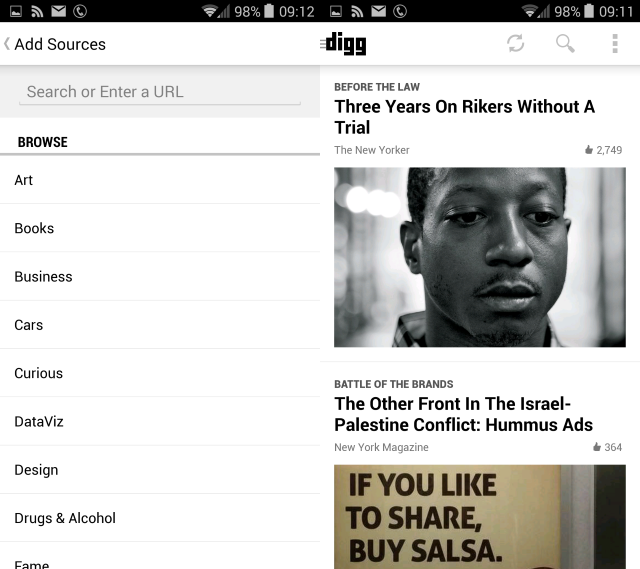 The Digg Reader (which Nancy Messieh reviewed in 2013) was great for discovering new content, although in the context of avoiding information overload, it’s probably one to avoid. Cawley noted that the Feedly app was a great all-purpose reader (check out our Feedly guide), but Flipboard had more visual pizzazz, and it turns the content you follow into a magazine-type format. If you need a reader that works offline, he suggests you might want to consider Flym Feeds. I first discovered Bullet News at TechCrunch Disrupt in 2014, which I covered for MakeUseOf. I saw a lot of amazing startups there, but one stood out as particularly interesting. This one. 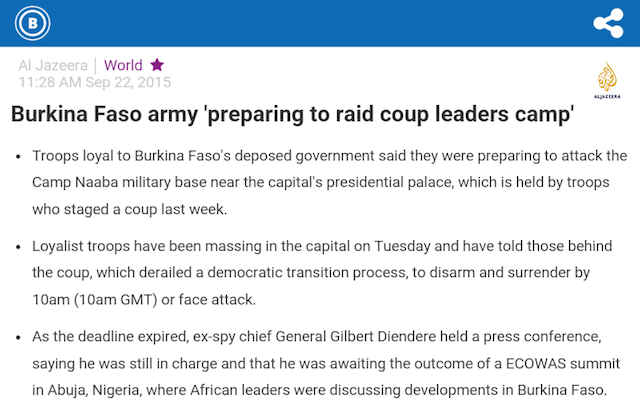 Bullet News, like the Summly-driven Yahoo app, takes content and algorithmically condenses it into something that’s much more digestible. As the name suggests, the content is condensed into short, readable bullet points. But that’s where the similarity ends, because Bullet News pulls from a selectively curated smorgasbord of respected journalistic outlets, like The Guardian, Al Jazeera, Reuters and The Associated Press. Although, it’s worth pointing out that most of the content is very heavily UK-oriented. This condensation, centralization, and above all curation means that this is one of the best weapons in the fight against information overload. Bullet News is available to download for iOS and Android on the Amazon App Store and Google Play. Mark O’Neill has personally recommended 10 mind-expanding tech newsletters that focus on design, development, and storytelling. In 2010, Tina Sieber listed 5 must-follow newsletters for anyone interested in fashion news. I’d be remiss if I didn’t mention the MakeUseOf newsletter. Just scroll to the top of the page, drop us your email, and keep informed of the best news to hit the MakeUseOf homepage. Personally speaking, I follow a few myself. Hacker Newsletter sums up the most notable and interesting stories that have appeared on Hacker News (essentially Reddit for über nerds) over the past week. Python is my programming language of choice, and probably one of the most valuable languages you can know. Each week, Python Weekly sums up all the most interesting Python news. Ruby Weekly is the same, but for the Ruby programming language. What I like about these is that I’m personally not experiencing information overload going through them all. Somebody else has already done all the hard work, and curated the most important stories for me. I often feel overwhelmed with the flood of information and news that I’m exposed to on a daily basis. Each tweet, each email feels somehow oppressive. But I’ve quickly learned that by adopting certain strategies, you can fight back. Have you got any strategies of your own? I want to hear them. Leave me a comment below, and we’ll chat.